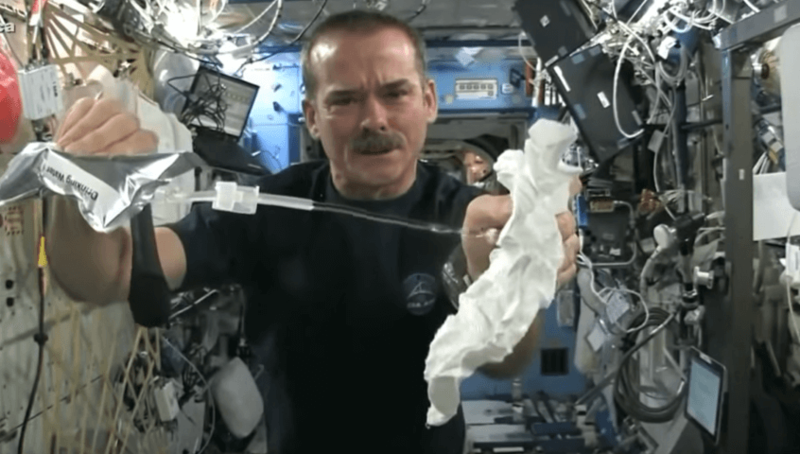 Home » What happens when you squeeze a wet rag in space? Find out! What happens when you squeeze a wet rag in space? Find out! The phrase ” It ‘s a small step for man, one giant leap for mankind ” transcends generations and different sounds familiar for young and old. That man could reach the moon was a dream that seemed unattainable and represented a recognition of the capabilities of human beings. People who, on July 20 1969 expectantly sat in front of the TV watching a human being set foot on the moon. Those who lived during that time remember that day in detail, a day that will be remembered not only by astronauts who carried out the feat, but for all who dreamed of reaching the moon. The technology makes us closer to all these developments. In 1969 we could see the televising and today the Internet has become a means of dissemination. Amazing! The International Space Station has its own page and Youtube channel in which astronauts share with netizens different curiosities.